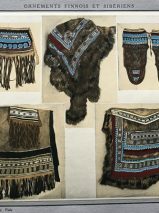 The hardcover portfolio folder with original ribbon ties contains 28 hand-coloured collotypes each mounted on card of pearl bead ornaments of the Finnish and Siberian Peoples . The hues are beautifully fresh and a delight to behold. Publisher: Henri Ernst, Paris, c. 1925. 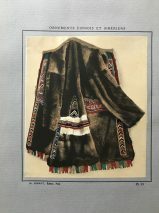 The hardcover portfolio folder with original ribbon ties contains 28 hand-coloured collotypes each mounted on card of pearl bead decorated costumes of the Finnish and Siberian Peoples . The hues are beautifully fresh and a delight to behold. 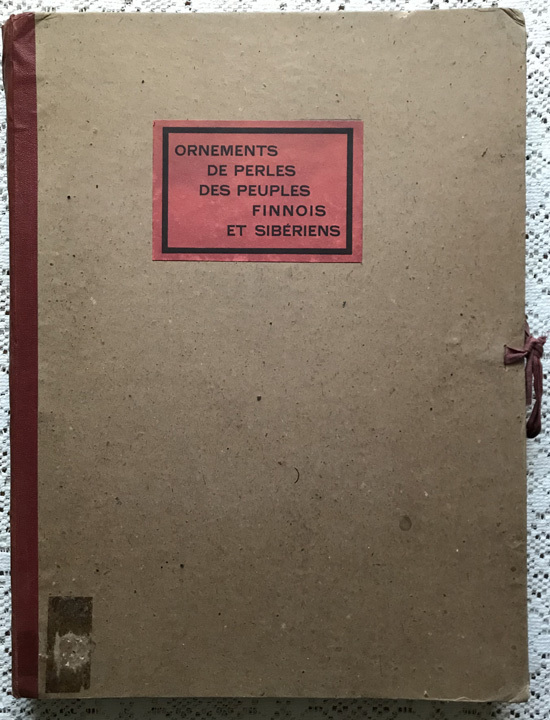 The card folder is in very good condition, with rubbing to the corners and fore-edges, and sticker residue to the front. To the reverse of the card, to the front paste-down, there are two small round ownership labels and a short neat inscription. 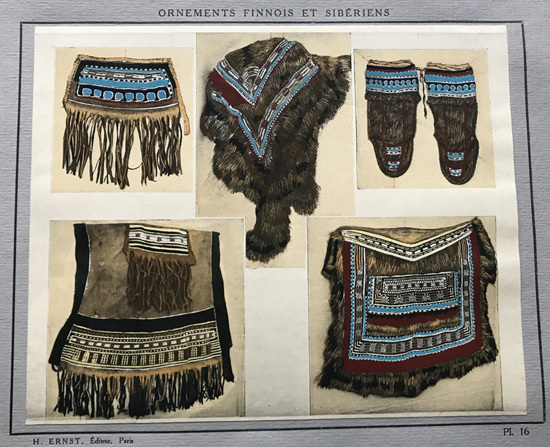 The cards on which the collotypes are mounted are creased slightly to the top corners. The images are perfect.